Every writer starts the same way: from nothing. That’s right. We’re writers, we create something (hopefully amazing) from nothing. Even if you’re adapting IP or writing from true events, you’re still in the position of starting from zero because you choose what to keep and what to leave out, to ultimately create your version of the story. You choose how to craft the story you want to tell. Your story always starts from nothing, and then you create it, build it, write it, until – ta da! A whole, living thing exists where nothing did before. Like magic. Sometimes the idea of it – the magnitude of the task — is also enough to send a writer running back to bed. I mean, that space between deciding to do it and actually creating can feel really huge. One way to make any task easier to tackle is to figure out what the smallest, easiest next step could be. Then you don’t have to worry about the big picture, you just have to do one little, manageable thing. Usually if you can get going, you can keep going. You just need a way to ease in, to get over the inertia and start. 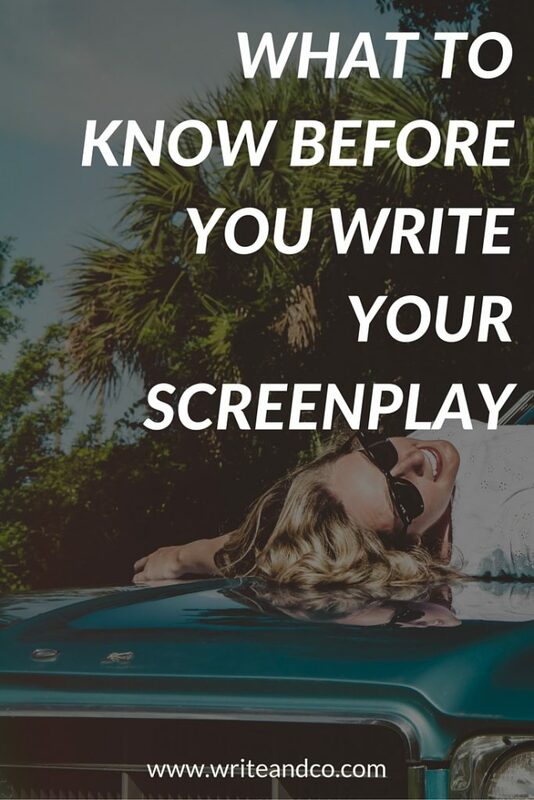 Okay, so what’s the first step to writing a screenplay? I have a suggestion. It’s not complicated. And in fact, you probably already know exactly what to do. I’m just here to lay it out in a straightforward way and reassure you that yes, this is a good first step. You can start here and get going on your story. This is your momentum builder. Step 1: Write one sentence. Not just any sentence. This one will probably be messy and grammatically incorrect and almost incoherent, but it’s going to contain the essentials you need to know before you start writing. And what’s standing in his/her way (obstacles/conflict). That, in a nutshell, is the recipe for a satisfying story. Don’t believe me? Fine, I’ll bring in a celebrity spokesperson. “The four questions I always ask myself with the main character: What does he want, why does he want it, what’s gonna happen if he doesn’t get it, what are the obstacles keeping him from getting it. Take a look at any of your favorite movies and you’ll see how the answers to these questions form the foundation of the story. Together they are the seed from which the entire movie sprouts. But the bad guys are occupying Nakatomi plaza, John and the hostages are all trapped inside, and John is the only one who can save them AND he has to do it basically on his own (obstacles/conflict). But the cursed video gives her only seven days to live, the frightening effects of the video intensify every day, AND the truth that she needs to uncover in order to end the curse is buried in the past and difficult to dig up (obstacles/conflict). See? Messy, long-winded, who cares? It’s a great, non-threatening, low-stress way to start really hammering out the pieces you need to form the foundation of your story. Personally, I love to get away from my computer and brainstorm with pen and paper. 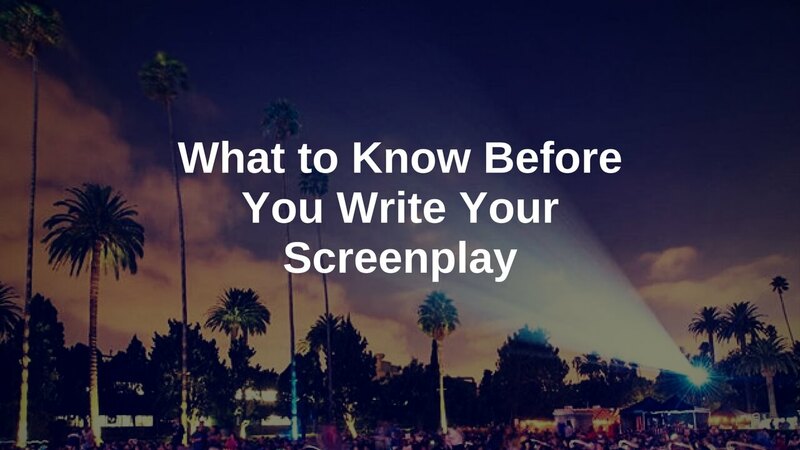 From this first, comprehensive-but-messy version, you can shape a killer logline, which you can use to pitch your screenplay idea now (to test it) and later (to sell it). Or you can tape it above your desk for the duration of your writing process, like a screenwriting North Star. Absolutely brilliant. I am interested in the basic skills of novel writing, but this has taught me so much. I am 80 years old and writing animal stories for young teanagers. Thank you for the kind words, Anna! And very glad to have been helpful. Best of luck with your writing!